What does it take to get on Santa’s Nice List in your house? Does your son need to pick up his toys? Does your daughter need to stop throwing tantrums? As we all know, Santa is always watching to see who’s being naughty and who’s being nice, but sometimes kids need a reminder to stay on their best behavior. 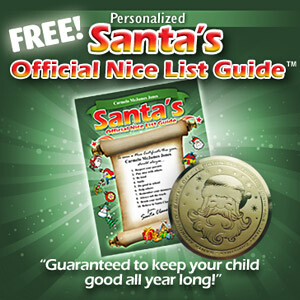 A free Santa’s Nice List Guide from Package from Santa can help. 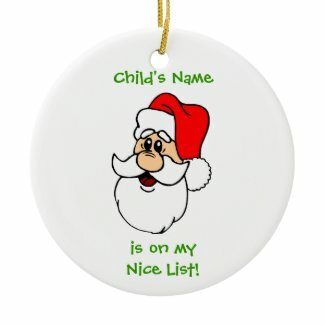 It lists 10 things kids need to do to be sure Santa will place them on the Nice List. You can specify the first five behaviors from a dropdown list with choices such as “Brush your teeth every day” and “Remember your manners,” or you can type in your own. The last five are already filled in for you and include Be kind, Respect your family, Smile, Help Others and Believe in Santa! The guide is free. Just add your child’s name and a parent’s email and the list will be personalized and emailed to your address so you can download and print it at home. It’s a great way to remind your kids that Santa Claus wants them to behave all year long!